LEAVE: 30 working days per annum. • Optional contributory Medical Aid Scheme (Government pays 50% and Employee pays 50%). • Contributory Pension Fund Scheme (Government pays 15% and Employee pays 5%). 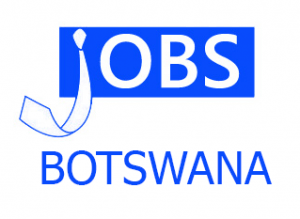 A minimum of four (4) years relevant experience in the Public Service or equivalent in the Private Sector or in a Parastatal Organization, two (2) years of which should have been served at C2 level as Personal Secretary or equivalent. To provide secretarial and administrative duties to the Senior Manager, Corporate Services. • Make appointments for people requesting an audience with the supervisor, ensuring that appointments do not coincide. • Reminds the supervisor of the scheduled meetings and makes relevant files/ documents before the meeting. • Makes travel arrangements by booking flights and/or hotel accommodation, having imprest applied for or retired. • Intercepts telephone calls to supervisor and identifies caller and purpose of call. • Receives calls and directs them to the appropriate action officers. • Sets up and maintains filling and information for the office systems. • Produce copies from original scripts. • Drafts replies to inquiries and issues standard replies as directed by supervisor. 4. Brief summary of career with duties (Curriculum Vitae) and competencies. NB: All applications from serving public officers should be routed through their Heads of Departments and Permanent Secretaries (Accounting Officers). Applications not so routed will not be considered. Only shortlisted applicants will be responded to. No emailed or faxed documents will be considered.